In January 2016, some New York City and Long Island public schools were using a handheld anti-choking suction device called the LifeVac to respond to choking emergencies. I asked the city and state departments to review. For more information, see New potentially life saving device questioned by medical watchdog, by Joe Mauceri, PIX11 News, January 18, 2016. This is to request that your agency review the following information and provide me with a determination if the following actions of the Union Community School District were in compliance with your agency's standards and guidelines. LaPorte City/Dysart were gifted some new medical devices called the Dechoker, by the Dechoker company to promote their business. 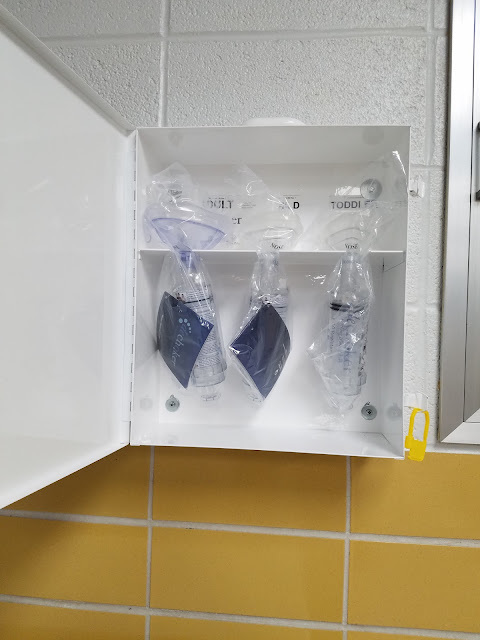 “We have four cabinets with three different sizes of Adult, Child and Toddler at each of the four school buildings,” said Cheryl Wiebbecke, the school nurse, in a press release. 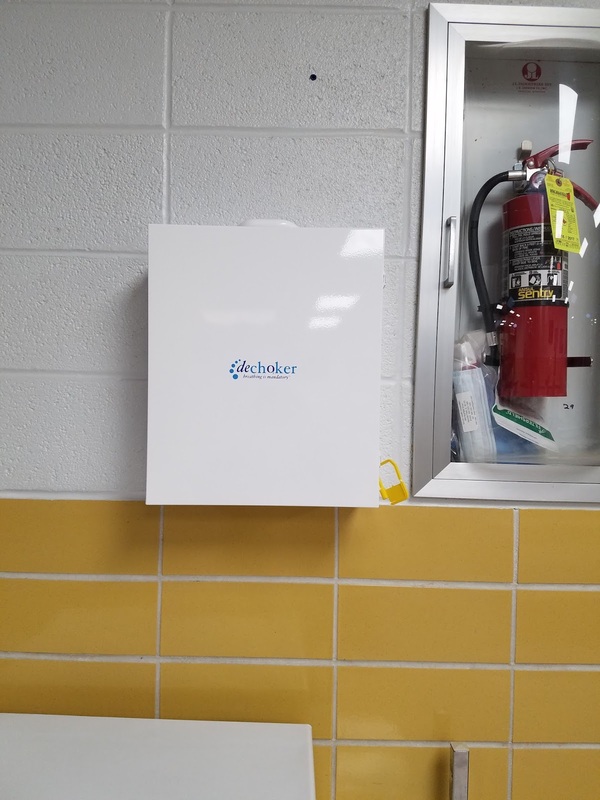 “We will be prepared for choking emergencies thanks to the Dechoker company," said Wiebbecke. In other words, the effectiveness and safety of the device appears to be unproven. Therefore, it's unclear on what basis the district chose to equip its schools with the devices, hence this outreach. 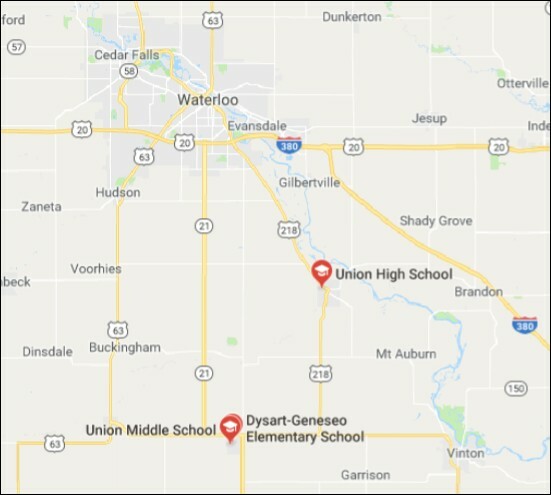 Would you please include in your review the contents of the file Iowa Union Community Schools.zip which includes the following referenced e-mails, school board minutes, and what appear to be photos of Dechokers in storage cases installed at the schools? * Please click here to download the file. According to the e-mails and the school board minutes (see below), the Dechoker company (Dechoker LLC, 4454 Raceway Drive, Concord, NC 28027) gifted the devices and wall-mountable storage cases to the schools in exchange for Ms. Wiebbecke agreeing to send out press releases about the gift. According to the e-mails, Travis Fleshner, Superintendent of Schools for the district, approved a December 18, 2017 presentation to the school board by Ms. Wiebbecke. Cheryl Wiebbecke, Union CSD nurse in Dysart, was present to show the board one of the dechokers [sic] the district has received. Cheryl’s attention was caught by the words “Breathing is mandatory” and she began reading about the dechoker. The dechoker is to help those choking when the Heimlich method might not be an option or isn’t working. The cost for the dechokers for all four school buildings would be approximately $1,600. She looked for grants to help pay the cost and when she wasn’t able to secure a grant, she called the company to see if they had ways for the district to purchase the dechokers affordably. The result was the company offering to give the dechokers and the cases to the district at no cost in exchange for some publicity to help grow their business. We now have a set of three dechokers (toddler, child, and adult), along with the cases, in each of the four school buildings. According to the e-mails, in addition to the Vinton Newspapers article, Ms. Wiebbecke's public relations efforts also resulted in Breathing is mandatory, an unsigned January 17, 2018 article in the La Porte City Progress Review. What's unclear is if Ms. Wiebbecke or any other school officials obtained opinions from any medical experts or first aid organizations, or an opinion from the school district's risk manager. Would you please look into that and provide me with the results? Finally, would a representative of your agency please interview Ms. Wiebbecke and ask if she had any other relationship or further communications with anyone associated with Dechoker LLC and provide me with her response? Thank you for your attention and I look forward to your reply. If your office has any questions I might be able to answer, please don't hesitate to ask.